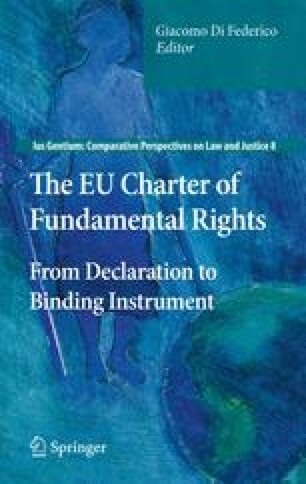 The specific aim of this Chapter is to verify whether and to what extent a newly binding Charter will influence the scope of the principles of effective judicial protection and effective access to justice with particular regard to the development of an Area of Freedom, Security and Justice. To that end, the author outlines the nature, scope of application and implementation of the right to an effective judicial remedy, and of the measures aimed at ensuring access to justice on the part of individuals. It is argued that the binding force of the Charter, combined with the modifications resulting from Art. 263 (4) TFEU, effectively addresses the concerns stemming from the restrictive interpretation of Art. 230 (4) TEC. Most notably, the binding Charter is capable of producing notable theoretical and practical consequences on the AFSJ, where Art. 47 is deemed to play a central role in the years to come.